State Senator Hannah-Beth Jackson presented amendments to SB188 (offshore drilling) in response to President Trump’s April 28, 2017 Executive Order that reverses an Obama administration moratorium on oil and gas drilling in federal lands on the Outer Continental Shelf, including beneath the Pacific. The goal is to prohibit the State Lands Commission from approving new pipelines on California’s coastline (three miles out from the shore). Download a letter to Senator Jackson in support of SB188 and thanking her for such immediate and brave action in response to Trump’s Executive Order. Message: “I support your amendments to SB188.” Other points: 90% of California residents support protecting the California coastline. Residents do not want a repeat of the 2015 spill that resulted in 143,800 gallons of leakage into the Pacific. California’s economy depends on tourism and fishing, and resources would be better invested in renewable energy, not oil from the ocean. Most land decisions are LOCAL decisions. The only people paying attention are developers and those who can profit off of it. YOU AND I can make a difference. State Senator Hannah-Beth Jackson has introduced amendments to SB188, which would prohibit the State Lands Commission from approving new pipelines. State jurisdiction applies to coastal waters up to 3 miles offshore. So any offshore oil drilling operations would have no pipelines to get their oil to shore. San Mateo County already prohibits onshore oil facilities – this would also prohibit offshore drilling. Download the Sen Jackson Letter for SB188 Support and find out more details on how to be a community advocate with impact and take action! How can you be an effective community advocate? All politics is local. Change happens with your home and your neighborhood. who wants the project to happen? what are the potential impacts of the project? Ask What Is Your Goal? modify the project — what would you be satisfied with? How to be an effective advocate? what does the other person want and/or need? There is hope. 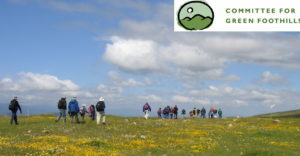 That was the message delivered by Maxwell Baumhefner and David Olsen of the Sierra Club on Monday, April 17th. California has special protections and a strategy in place in case any of those protections are threatened by the barrage of anti-environmental protection orders and legislation coming from Washington. These threats form a long list that’s about to get longer. 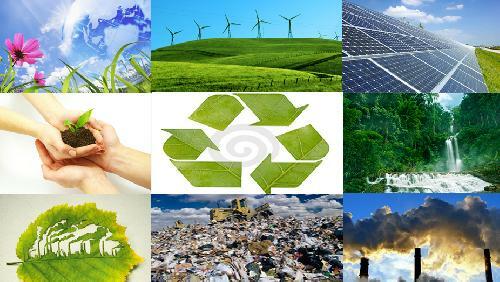 However, California can continue to be the beacon of progress as the world and the United States looks to it as a leader of environmental protection. Moreover, what happens in California radically affects other states. Plug everything we can into a decarbonized grid, and reserve the limited supply of truly sustainable, energy-dense liquid fuels for the stuff we can’t plug in (e.g., planes). NRDC’s transportation team works on all three of these steps. Please click on this powerpoint for more detailed information. And GOOD NEWS, and some bad, from the Sierra Club! We are out of the drought but there are many challenges ahead of us because of California’s unique ecosystem which fluctuates the state from being a drought state and a flood state. We have to have the policies, laws, and solutions in place to always face droughts and floods. Here is the follow up, including letters to download and send, for the legislative actions recommended by the NRDC and Sierra Club which support AB378 and oppose the Water Fix. Support AB378: The state’s cap-and-trade program requires companies to buy permits to release greenhouse gas emissions (meaning: major polluters buy credits for their carbon emissions). Although AB378 wants to extend this program, due to expire in 2020, and supports its goal to reduce emissions to 40 percent below 1990 levels by 2030, lawmakers and the NRDC are concerned that the benefits have not reached all communities. Predominantly low-income and minority communities are disproportionately impacted by greenhouse gas emissions, but have not seen the same jobs and economic development in the green energy sector, or improvements to health and quality of life, that other regions have under the current law. California Assembly Speaker Pro Tem Kevin Mullin has introduced AB 1405 to deploy more clean energy resources during peak electricity demand, in order to meet the State’s 2030 greenhouse gas (GHG) and renewable energy targets. “California’s goals of 50% Renewable Portfolio Standard (RPS) by 2030, 40% greenhouse gas reductions below 1990 levels by 2030, and providing reliable, cost-effective electricity to energy customers are laudable, but ultimately incongruous in the absence of a policy framework and new market mechanisms to allow California’s Independent System Operator (CAISO) to manage the impacts of increasing renewables penetration” said Mullin. THE ISSUE: A resolution has been introduced in committee that will effectively eliminate the EAC, which works to ensure people with disabilities are able to vote in elections. Read more here. 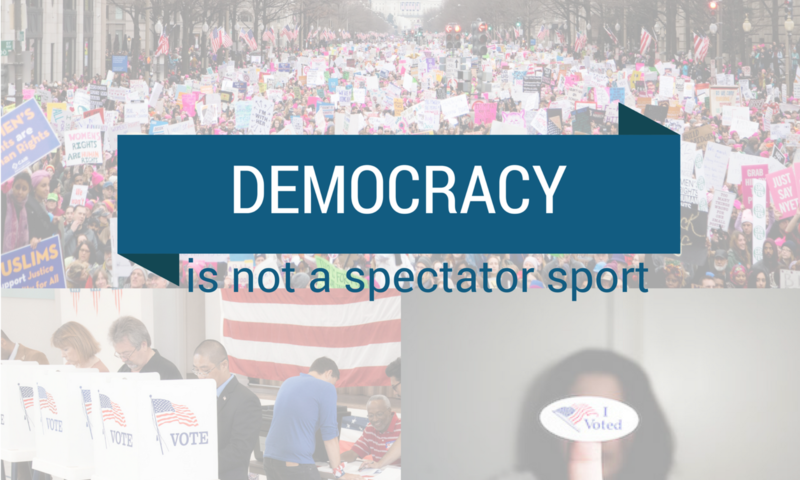 THE ACTION: Contact the Committee on House Administration today to tell them to reject HR 634 and ensure fair and accessible elections for all Americans. CLIMATE JUSTICE: On January 24, President Donald Trump signed an order that makes it easier for Energy Transfer Partners (ETP) to complete its controversial Dakota Access Pipeline (DAPL) in North Dakota. Trump also issued a memorandum clearing the way for the Keystone XL pipeline. The public process is still in play. It is not a done deal. This is an executive memorandum and just how much Trump can authorize is unclear. This is the best explanation of the legislative analysis of the pipeline process that must happen following this presidential order that I have read. In summation: nothing is set and we still have a voice. Because the situation is uncertain, prepare for both scenarios: one in which the pipeline construction ceases or one in which the pipeline projects move forward. Either way NOW THROUGH FEBRUARY 20TH, you can call your reps and write to Gib Owens, the U.S. Army, Office of the Assistant Secretary of the Army for Civil Works. Here’s Mr. Owens’s contact info and sample email to send. If it goes forward, these are steps you can take. 1) Donate: This is the official donation page of the Standing Rock Sioux tribe whose lands the DAPL violates and who have been at the forefront of the protests to safeguard and protect the land and river against oil spills. 2) Call your Senator and House reps and tell them you are against the DAPL and Keystone Pipelines and they should fight as hard as they can.